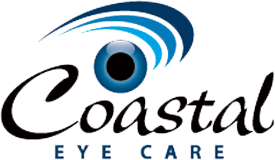 Coastal Eye Care has some exciting news! We are pleased to announce a partnership with Oregon Eye Physicians and we welcome ophthalmologist Dr. Landon Karren to our clinics. Dr. Karren is providing local cataract and eyelid surgeries as well as previously unavailable services such as Macular Degeneration injections and surgical treatment of glaucoma. Dr. Karren is currently accepting patients in our Seaside and Long Beach locations. While the lens of a healthy eye is normally clear, a cataract causes a clouding effect somewhat like looking through a dirty window. Cataract surgery is a safe, effective way to improve your vision. Using modern microsurgical techniques, Dr. Karren performs a brief, painless operation to remove your clouded lens and normally replaces it with an aspheric intra-ocular lens. This outpatient surgery has a short recovery period, with most patients immediately enjoying improved vision. For patients who would like to reduce or eliminate their dependence on glasses for most activities—including reading, driving and working on the computer, there are alternatives. Our doctors will select an accommodating intra-ocular lens based upon your near and intermediate vision needs. Also, toric lenses may be an option for those patients with astigmatism. These intra-ocular lens implants correct for astigmatism as if you were wearing a toric contact lens. Implanting toric lenses is a safe, efficient and predictable method for managing corneal astigmatism in cataract patients. If you’ve been diagnosed with glaucoma, Coastal Eye Care offers the complete care and treatment your condition requires. This very serious eye disease can damage the optic nerve and cause the loss of sight. Unfortunately, once you’ve lost part of your vision to glaucoma, you cannot get it back. The good news is that this disease usually develops slowly; and as experts in glaucoma care, we can prescribe the most effective medicine or surgery to manage the disease and control its damaging effects on your eyesight. For most of our patients, glaucoma can be successfully controlled with eye drops. Should it become necessary, surgery involves either laser treatment (SLT Laser) or, very rarely, filtering microsurgery. The type of surgery we recommend will depend on the type and severity of your glaucoma and the general health of your eye. As always, our focus is on providing the best treatment for your individual vision needs. Age-related macular degeneration — also called macular degeneration, AMD or ARMD — is deterioration of the macula, which is the small central area of the retina that controls visual acuity. The health of the macula determines our ability to read, recognize faces, drive, watch television, use a computer, and perform any other visual tasks that requires us to see fine detail. There is as of yet, no outright cure for age-related macular degeneration, but some treatments may delay its progression or even improve vision. Treatments for macular degeneration depends on whether the disease is in its early-stage, dry form or in the more advanced, wet form that can lead to serious vision loss. For wet AMD, treatments aimed at stopping abnormal blood vessel growth include intraocular injections of drugs called Avastin, Lucentis, and Eylea. For dry macular degeneration, many patients benefit from vitamin and mineral supplements which can clear out toxic substances that may build up in advanced cases of this condition. It is very important that patients with either type of macular degeneration seek continuous medical treatment for their condition. We are very excited that Dr. Karren is able to perform these injections at our clinics. Previously, our patients have had to travel to Portland for this treatment. Dr. Karren has extensive experience with these conditions and can offer the latest, most advanced treatment plan to preserve your vision.